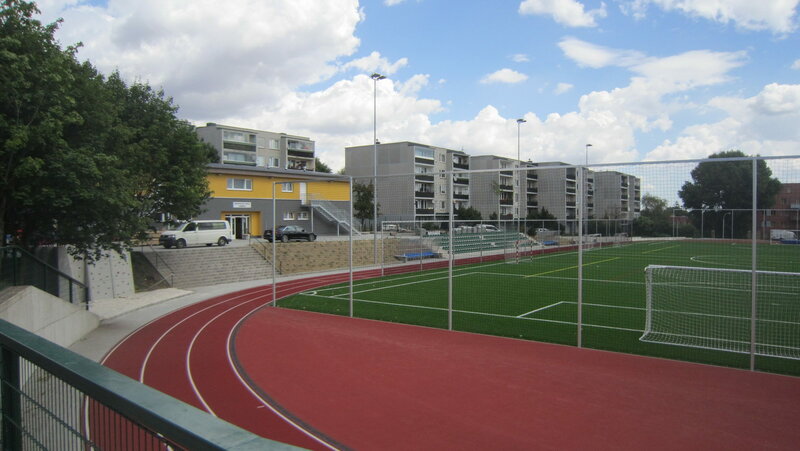 Welcome to the website of the professional organization ASSOCIATION OF SYNTHETIC TURF FOOTBALL PITCH MANUFACTURERS with ESTO membership, with its registered office at Londýnská 329/25, 120 00 Prague 2-Vinohrady. The professional organisation operates as an independent guild organisation within the framework of its collective membership in ESTO (European Synthetic Turf Organisation). ESTO, at present represented by 15 leading European producers of artificial turfs, who employ more than 20,000 workers in total and whose annual sales correspond to more than 25 million square metres of artificial turfs, has established co-operation with UEFA, in order to promote strict demands on the quality, playability, and safety of artificial turfs. 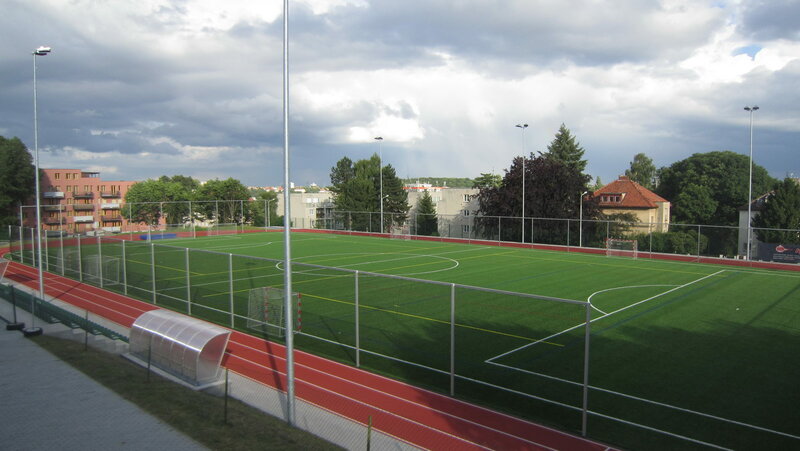 The aim of the Association is to achieve, in cooperation with the Football Association of the Czech Republic (FACR), top quality in building football pitches with 3rd generation artificial turf (3GAT). This is a financially demanding investment with an expected time of utilisation of 10 and more years. Many investors have difficulties selecting or assessing the quality of a turf and, therefore, the Association also wishes to contribute to the dissemination of objective information in the best interest of the end users, i.e. the football clubs organised under the FA CR. This will, in turn, benefit football as the number one sport. The main advantage of the artificial turfs is its all-year availability and the possibility to use the pitch under any, even adverse, weather conditions. The pitch can thus reliably be used even after torrential rains and under freezing conditions, eliminating the need to cancel or postpone football matches. This makes it possible to hold matches on pitches furnished with artificial turfs that would otherwise have to be cancelled due to adverse weather conditions. 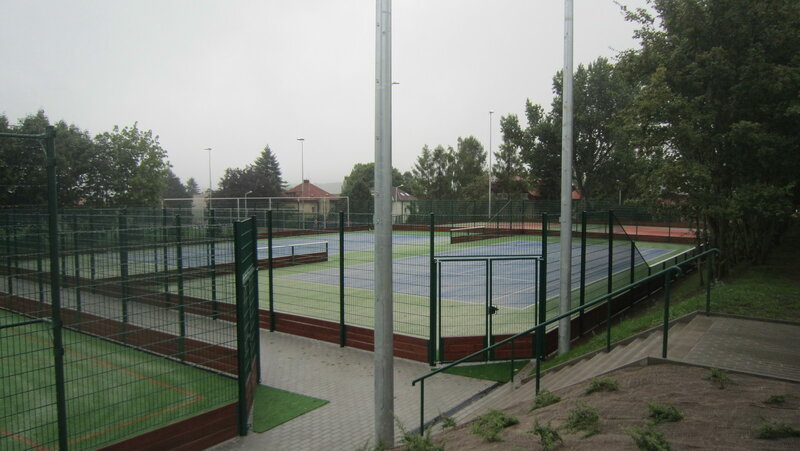 Moreover, holding tournament and friendly matches during winter months in the Czech Republic is generally only possible on an artificial turf. 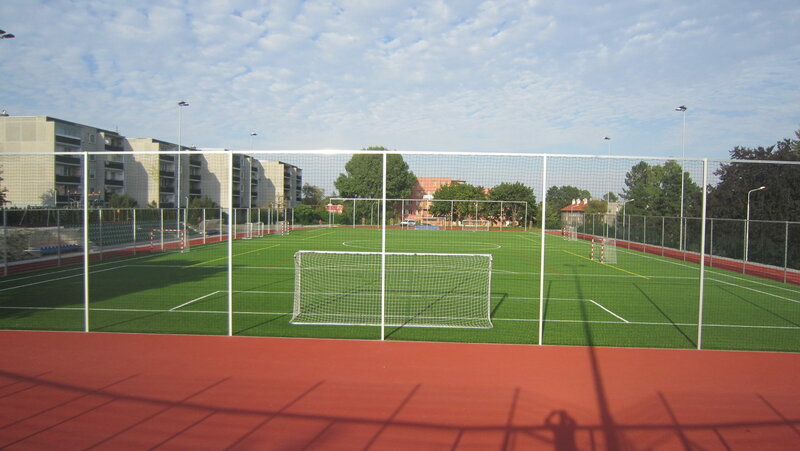 Artificial turf provides all-year consistent playing conditions on the whole area of the pitch. 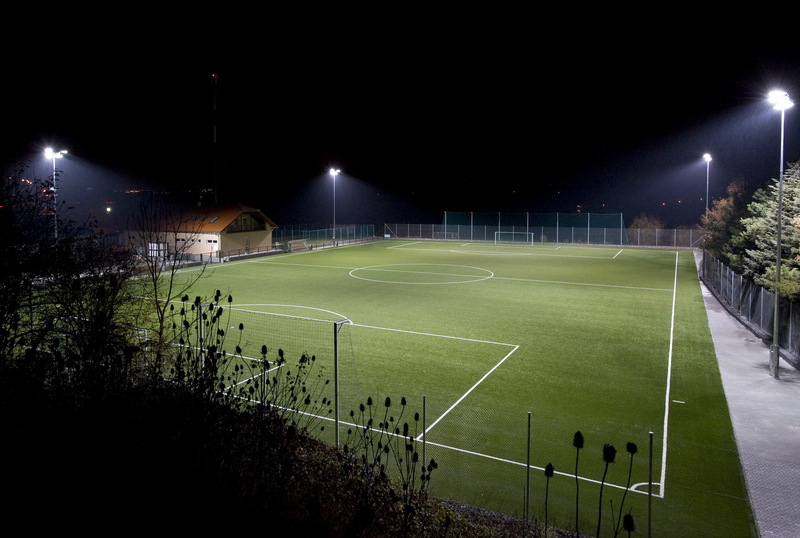 It provides better conditions both for playing and developing skills during training sessions and, in conjunction with artificial lighting, much better time flexibility. Other considerable advantages include better aesthetics of the pitch, cleanness, edge to edge turf coverage, consistent colour and, most importantly, lower incidence of injuries during such bad weather conditions. 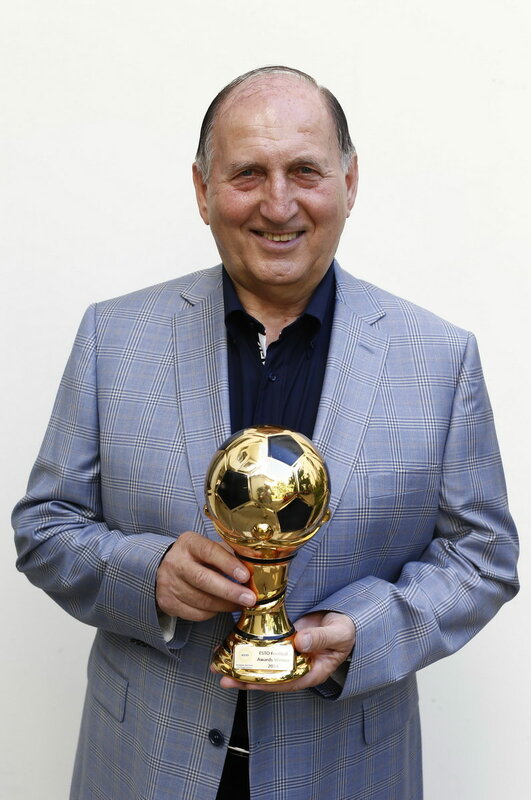 Milan Vopička, CEO of Sport-Technik Bohemia, won a prestigious award for the Czech Republic. 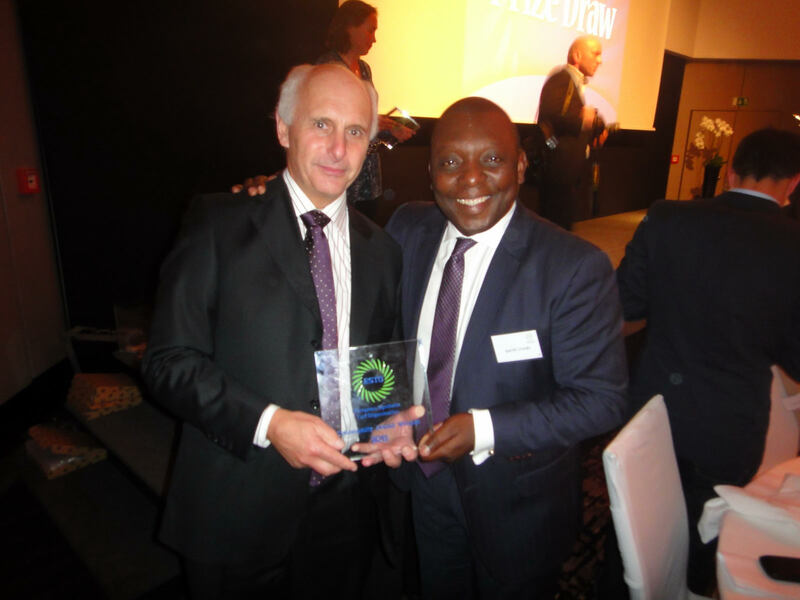 On Wednesday, 28 October 2015, the European Synthetic Turf Organisation (ESTO) awarded a number of prestigious awards at the FSB Trade Fair in Cologne, where several sport construction developers and producers of artificial turfs presented their products. 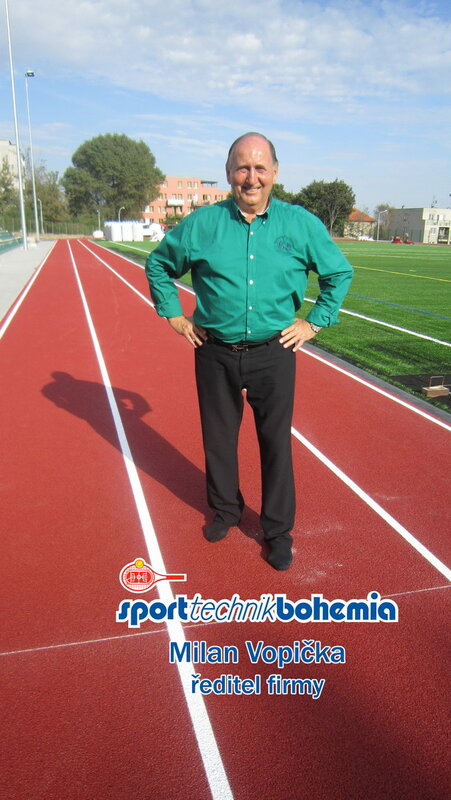 In Hyat Hotel – situated on the banks of the Rhine – Milan Vopička, president of the Czech Association of Synthetic Turf Football Pitch Manufacturers and CEO of Sport-Technic Bohemia, accepted the 2015 sport construction of the year award for the Prague 6 sports complex. Between 14 and 16 September, the traditional annual ESTO congress took place, this time in Rome, with participation of not only the ESTO members, but also many invited guests from Italy. Aside from many interesting lectures, maintenance using specialised machines produced by Germany’s Wiedeman and SMG was demonstrated. The ESTO Technical Committee also met with representatives of FIFA and other Football Associations. With the president Mr Vopička, we have actively participated in two workshops held on 29 January and 15 June 2015 in Amsterdam, mainly within the Football 3GAT Maintenance Group with participation of major 3GAT representatives – such as the 1. president of ESTA Arnold Violet, the 3. president of ESTA Enrico Buriani and, of course, Alex Bobeica, the head manager of SMG, a major developer and manufacturer of special technologies for installation and maintenance of 3GAT, or Alstair Cox, the main ESTO expert for negotiations with the European Commission. (a) Maintenance specifications must be introduced as an integral part of the supply contract. (b) In each case, companies installing 3GAT should supervise the pitch for a period of at least 5 years. (c) Maintenance of older 3GAT types must be better distinguished from the rest and the maintenance of turfs with memory yarn must be redefined. (d) As regards the new criteria, it is necessary to take into account the number of person-hours played or trained on the pitch. (e) Information seminars should be organised not only for maintenance workers and green keepers, but also for direct representatives of the operators/owners of these pitches. – a presentation including a video will also be prepared. Everything will be presented at a special workshop on 14 September in Rome on the day before the ESTO Congress, to which representatives of FIFA, UEFA and all European FAs are invited.This event will also be attended by 80 representatives of Italian football organisations and will include on-the-pitch demonstrations of maintenance. Czech representatives also drew attention to the discrepancy between what is good for football and certain parameters of the FIFA criteria, especially regarding shock absorption; these issues were acknowledged and left to be further negotiated with FIFA. A discussion followed with the aim of establishing a certification system, similar to the FIFA PRODUCER certificate that would allow the ESTO members to attest quality of installation companies. This way, ESTO could issue e.g. an ESTO INSTALLER certificate that would be valid throughout Europe, which could be highly beneficial especially with regard to attesting and enforcing the highest possible quality of the products, i.e. 3GAT football pitches. The Association of Manufacturers would like to react to the comments made by guest experts of the ČT4 TV studio, Pavel Karoch and Josef Csaplár, which we consider misleading and unprofessional. 1) Each of the Sparta players that were interviewed several times before and after the match (especially by Czech TV reporters) stated that they did not have any problems with the synthetic turf whatsoever, during or after the match. 2) When asked about how the Liberec team felt about training on the synthetic turf under his management (the pitch neighbours directly on the main stadium), the highly renowned and, I believe, widely respected coach Jaroslav Šilhavý always voiced a favourable opinion. 3) In the training centres of major Spanish, Italian, Dutch etc. clubs, most of the pitches are equipped with synthetic turfs. We believe there is a good reason why. 4) All relevant long-term comparisons of natural and artificial turfs clearly show that there is no difference in injury rates. We were, therefore, very surprised by the biased opinions expressed by the guests of the pre-match TV debate that were broadcast to all fans watching the programme before the EL match. As an example, we would like to quote the following: “playing football on synthetic turf should be banned except for in extreme geographical locations. In this respect, we would also like to inform the public that even in a country as conservative as the UK, which has a very mild climate, the English Football Association decided to donate the equivalent of CZK 1.5 billion (over €55 million) for development of synthetic turfs – in 2013! We present this information to set the record straight, and we would also welcome a serious discussion on this issue. 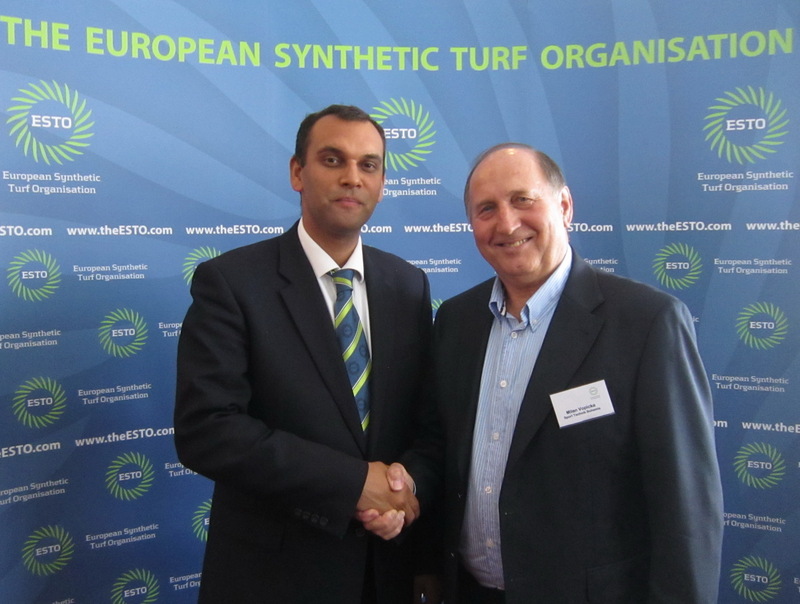 On 5–6 June 2014, the annual ESTO (European Synthetic Turf Organisation) Congress was held in Istanbul, Turkey. ESTO associates more than 20 major synthetic turf manufacturers and another 60 affiliated members. This most important event of the year included the second announcement of the ESTO AWARDS. First, the COMMUNITY AWARD was announced. 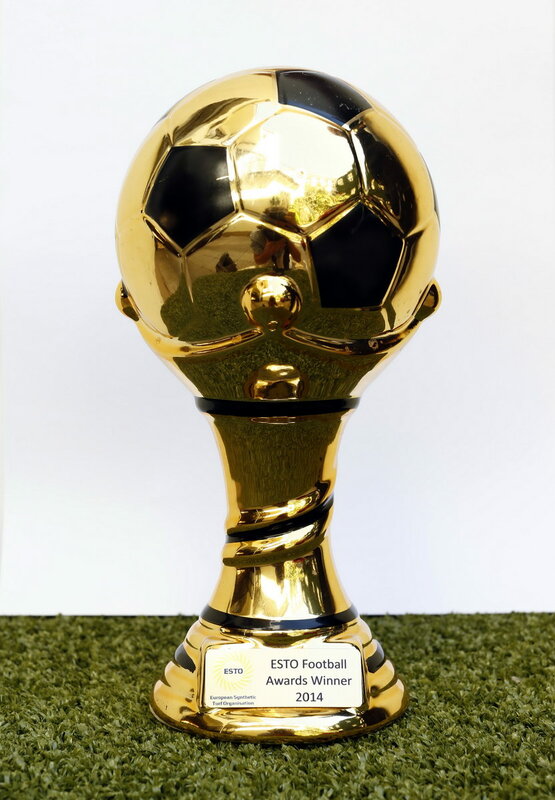 The award is presented to an ESTO member company that has implemented the best project aimed at developing European football during the last two years. 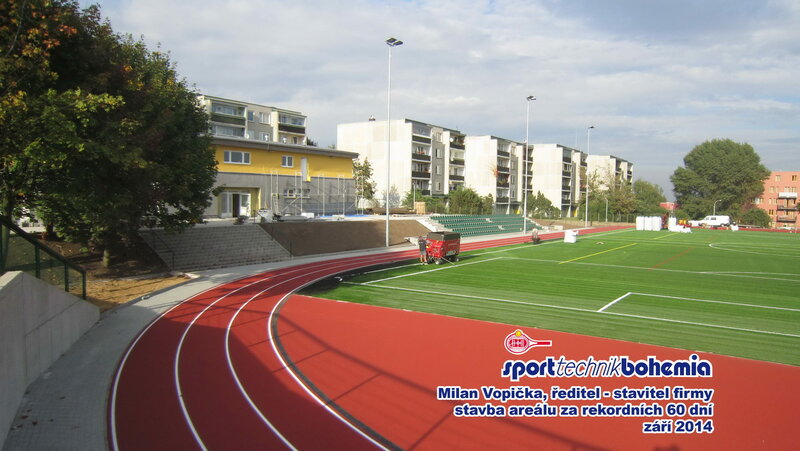 The award was won by the Czech company Sport - Technik Bohemia, a member of ESTO and the Association of Synthetic Turf Football Pitch Manufacturers of the Czech Republic, headed by the director and president Milan Vopička. 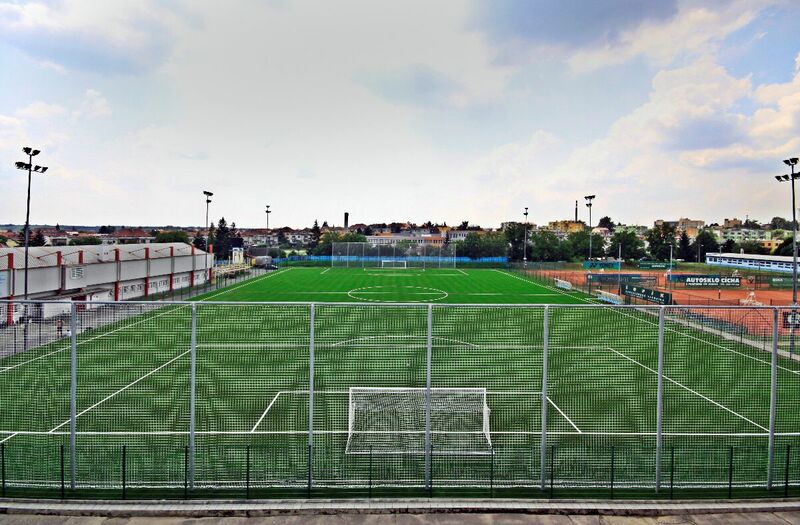 The company won the award for excellent construction of a synthetic turf pitch for young footballers aged 6–12, which is based on the VICTOR project and located in a modern hall in the Training Centre for Football Youth in České Budějovice. This state-of-the-art pitch equipped with the Profoot MXSI 60 s FIFA** synthetic turf not only serves training purposes, but is also marked out for matches of the youngest players, i.e. 4 + 1, 5 + 1 and 7 + 1. 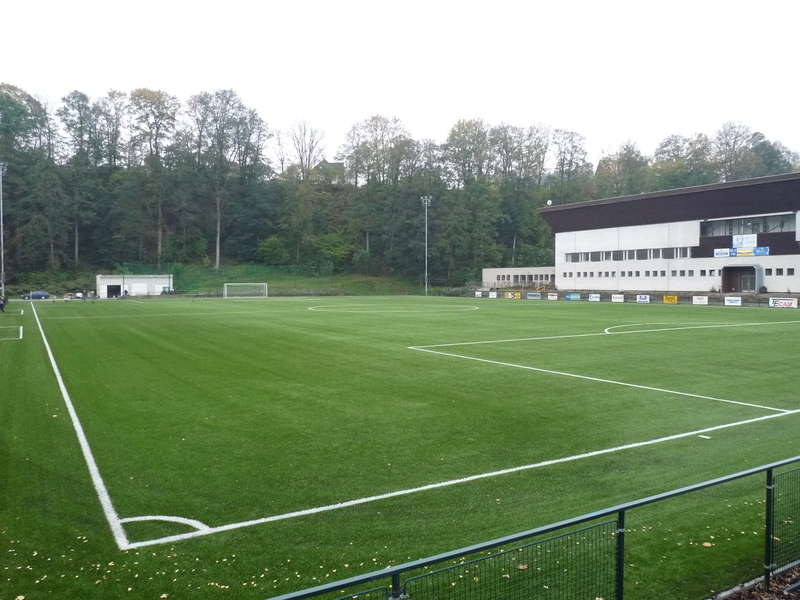 This pitch was donated to the Training Centre for Football Youth in České Budějovice by Sport - Technik Bohemia in co-operation with the FACR. Other individual awards were won by Frans Hamerling from the company TenCate, Jean-Michel Berly of the French Football Federation and Oliver Ash from the UK football club Maidstone United FC. LETTER OF UNDERSTANDING between ESTO (European Synthetic Turf Organisation), with its registered office in Brussels, and our Association, originally concluded in Bergamo, Italy. Based on good co-operation of both parties, the agreement was extended by three more years, i.e. until November 2016, and will continue being governed by the Belgian law. On 26–27 September 2013, in the immediate vicinity of the well-known ALBERT DOCK and ”overlooked” by The Beatles, whose museum is located here, the JURYS INN hotel hosted the 6th Congress of the European association of major synthetic turf manufacturers (ESTO). 1) Mark Pover, the FA’s national facilities manager presented an optimistic speech, mentioning that the UK government in co-operation with the English FA has newly allocated GBP 50 million (approx. 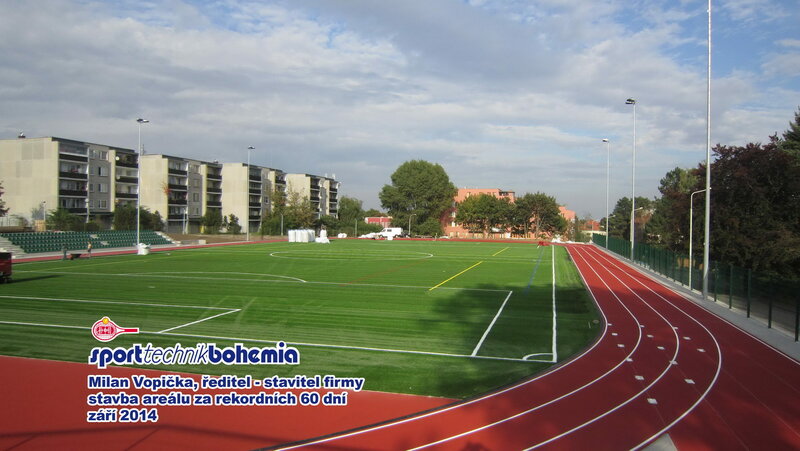 1.5 billion Czech crowns) for development and construction of synthetic turfs. 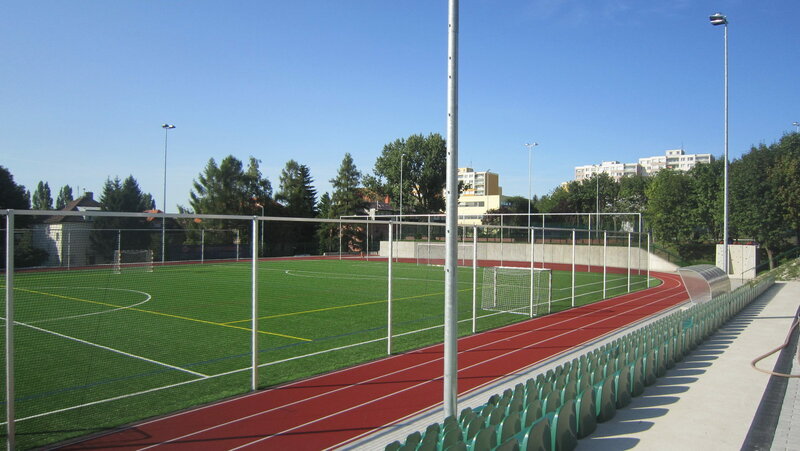 2) In the Vision 2020, which was prepared with assistance of UEFA and FIFA, both Nigel Fletcher (General Manager of ESTO) and Robin Russel demonstrated this vision for development of synthetic turfs on the fast growing number of 3GAT football pitches, where the total number were a result of co-operation with the manufacturers and, more importantly, consultations with the UEFA National Football Associations. For example, the current number of 13,000 pitches with standard dimensions should increase by another 8,000 new pitches in Europe (including the replacement of old turfs). Even higher increase rate is expected in football pitches with smaller dimensions. 3) ESTO has always strived to maintain the highest quality standards of synthetic turfs, and successfully so, as confirmed by Nigel Fletcher and especially by Mats Johnsson of Ashurst and Alstair Cox of Labosport, both members of ESTO. They mainly noted the successful legalisation of all development standards and processes, especially the European standards that are subject to approval within the EU. These included mainly a revision of the WG 15330 standard for testing; all standards have been agreed, approved and must be published in all 27 EU member states’ languages, which can, unfortunately, take up to 6 months. The new rules naturally improve the quality of the product and tighten standards and, at the same time, will be compatible with laboratory testing of FIFA. The overview of the standards will thus also be available in the Czech Republic, in the Czech language. send you the final question and answer from the interview with Adrián GUĽA, the manager of the successful team AS Trenčín, newly promoted to the Corgoň League, that will be published in whole in our favourite FOTBAL A TRÉNINK magazine 4/2012 (out just before Christmas). The main pitch of the AS Trenčín stadium has been equipped with a new, state-of-the-art synthetic turf; how does the turf help you in the training process or during the match? Top-level turf ensures top-level training all year round! Working on details, development of players, pace and speed of game. It allows us to concentrate on working with these details, improving technical skills, each and every day, regardless of the weather. All AS Trenčín players use the pitch as much as possible which makes them better prepared when they are transferred to the club’s A-team, which plays the Slovak First Football League. 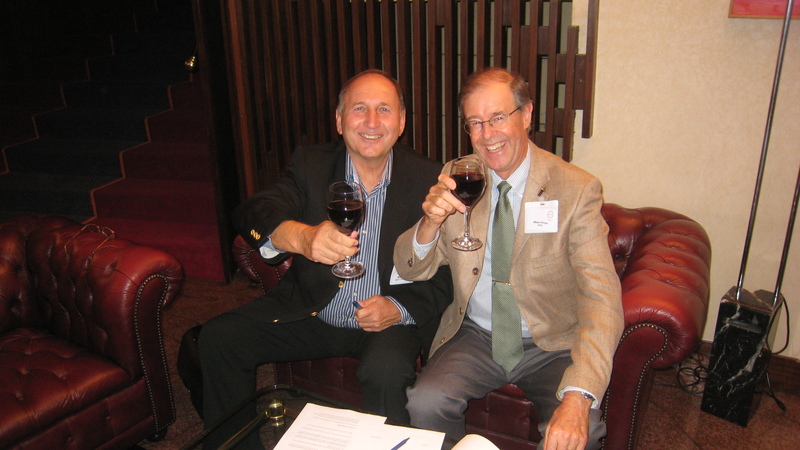 on 19–21 September, I and the Association President Milan Vopička have participated in the ESTO Congress in Brussels. 1) The final programme, which was slightly modified in comparison to the one you have all received from the ESTO secretary Natasja Faelens. All items on this programme were addressed. 2) A positive information relating to the speech of Nigel Fletcher, see point 3, who, among others, referred to a survey among top professional Dutch coaches regarding their assessment of 3GAT. Please find the survey here. I believe the positive assessment (see point 2) will encourage us in our work and activities aimed at the highest-quality 3GAT pitches in the Czech Republic. Finally, I would like to inform you that the general replacements of synthetic turfs in the last period undoubtedly contributed to the overall positive outcome. Among the latest cases, let me mention FK Baumit Jablonec and 1. 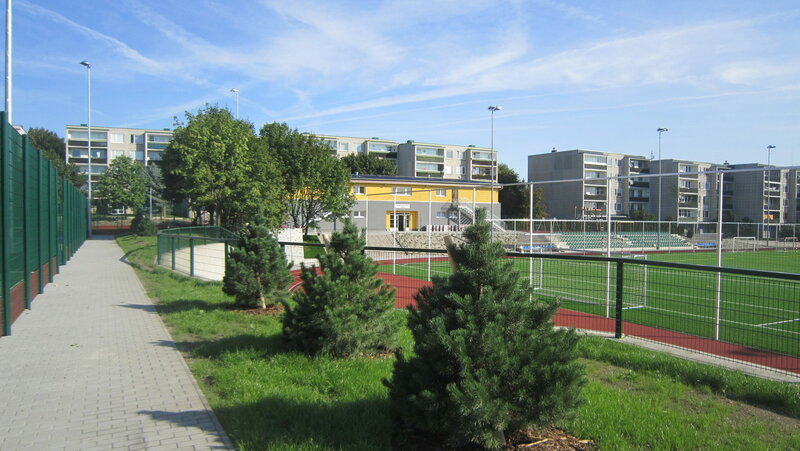 FK Příbram (completed September – October 2012). On 26 October 2011, the first ESTO gala evening was held in the Hyatt Regency hotel in Cologne, where three prestigious annual awards were presented. 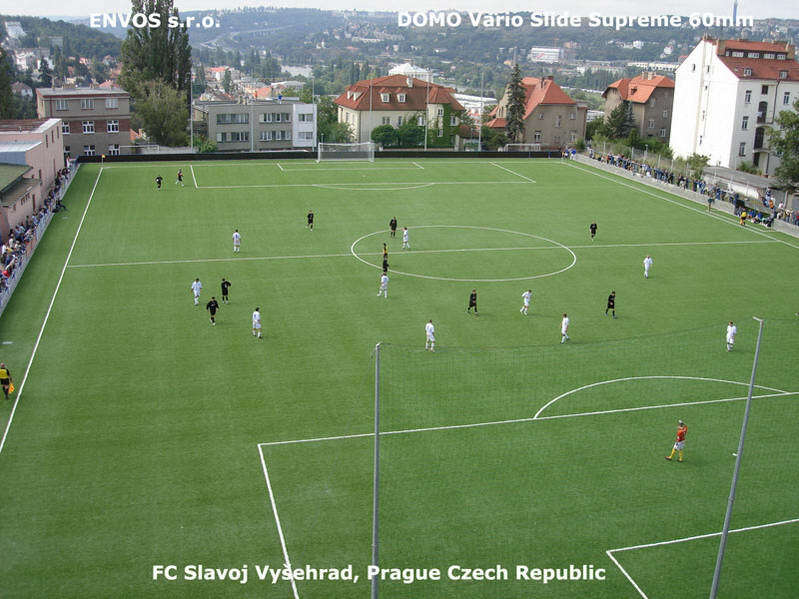 The European Synthetic Turf Organisation, associates 21 major European synthetic turf manufacturers and 60 other affiliated members, presented the “COMMUNITY AWARD” for exceptional contribution to development of sport (football) at the local level to the Czech company ENVOS spol s.r.o. for designing and implementing a new football centre for young players of FC Újezd near Průhonice at the outskirts of Prague. 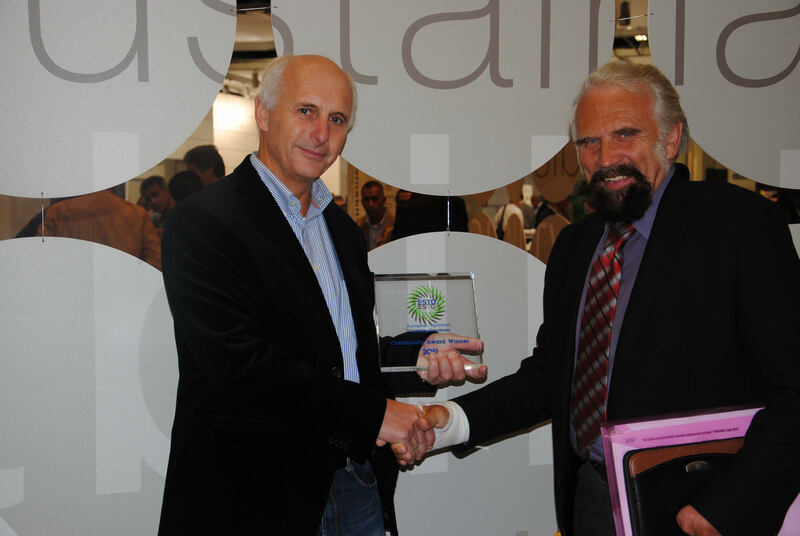 The award was accepted by Michal Vokáč, the CEO of the company, and Jiří Křenek, the General Secretary of the Association of 3GAT Pitch Manufacturers with ESTO membership. FC Újezd was established in 1937 and is the only football club in this area. 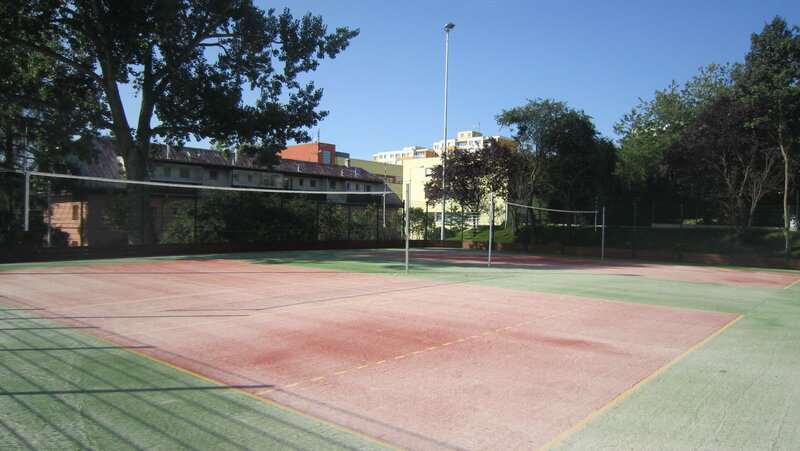 Together with the local municipal authority, it was highly interested in expanding the sports activities of the club and making the facility accessible to a wider public, especially young people. 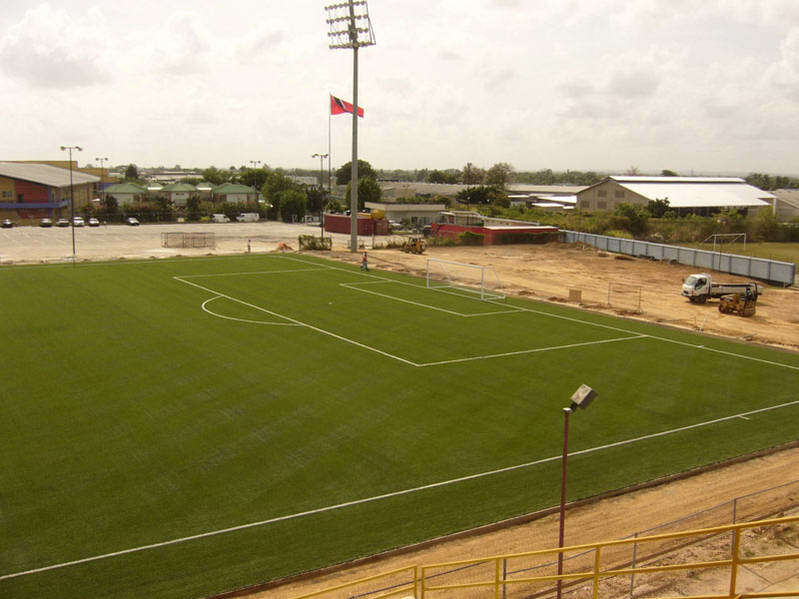 The municipal authority, together with the Ministry of Education, Youth and Sports, managed to arrange funding for the construction of a new synthetic turf pitch. This allowed the club to establish six more teams, mostly in the youth categories. The club also took care of all necessary maintenance of the new pitch. 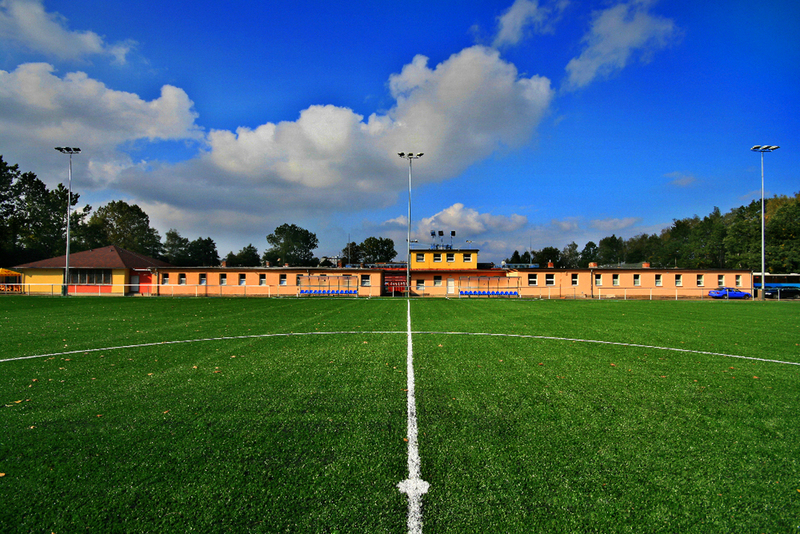 A new clubhouse and artificial lighting of the pitch were another important part of this project. Currently, the club manages the activities of youth teams in the U8, U10, U12 a U14 categories, with a girls’ team to be established in the near future. 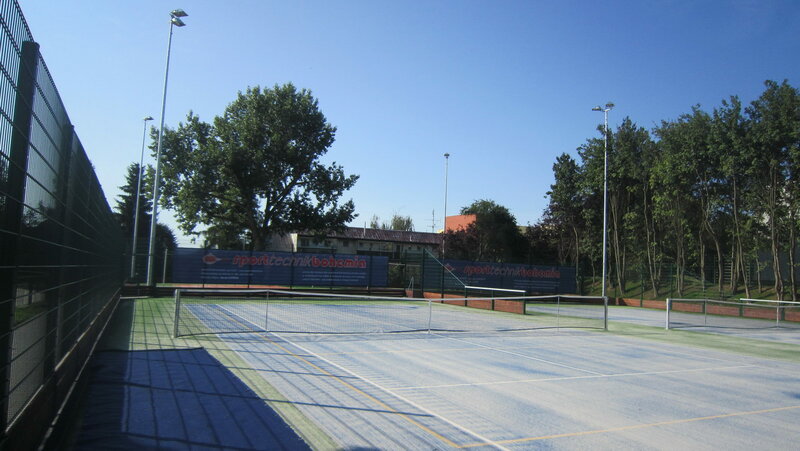 The number of active members increased by more than 400% to over 120, and during the season (from March to July and from September to November), matches are played here every Saturday and Sunday from 8:45 a.m. to 10:00 p.m. Furthermore, during the season, the synthetic turf is used throughout the week from 2:00 p.m. to 9:30 p.m. for pre-match preparation and training and, in July and August, the pitch is used almost every day for children’s football camps. Currently, the club also organises eight team tournaments each weekend during the winter months, as well as a number of informal meetings for teams with players over 40, 50 and 60; the adult players also use the pitch for friendly five-on-five matches. 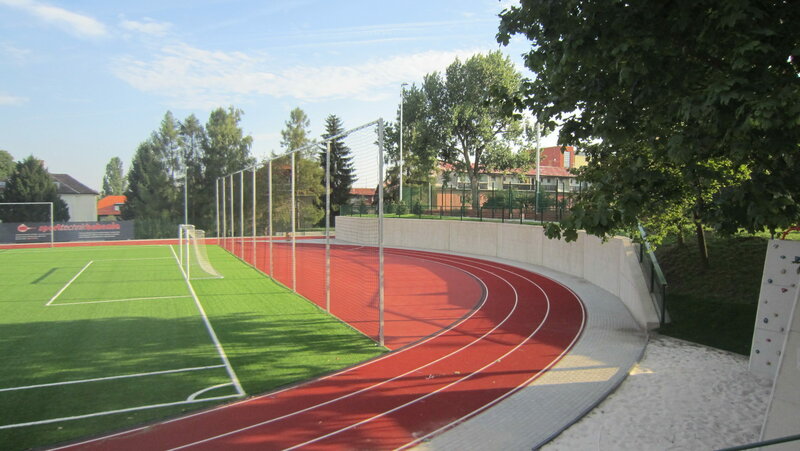 The football complex of FC Újezd was built by ENVOS s.r.o., a member of the Association of Synthetic Turf Football Pitch Manufacturers with ESTO membership. The pitch is equipped with a Greenfields FT Real V Slide 60-mm synthetic turf with a flexible pre-fabricated elastic layer. The event took place on 27–29 October in Prague in the pleasant setting of the Mövenpick hotel. 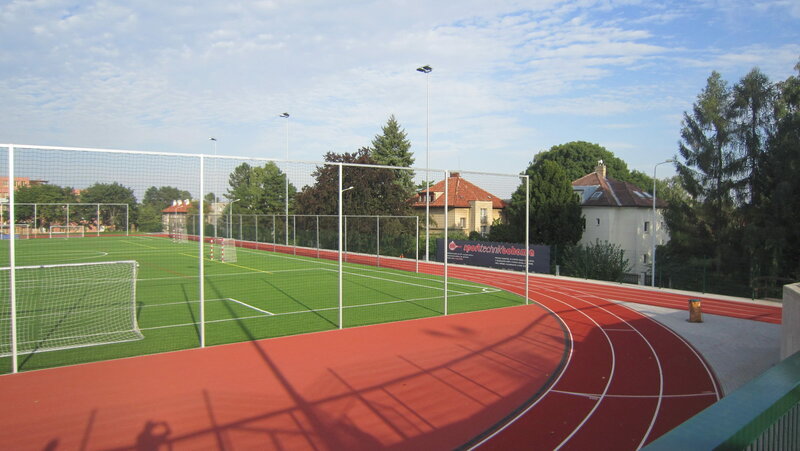 What exactly is ESTO (European Synthetic Turf Organisation) ESTO is an organisation representing 90% of the whole market – production as well as installation – of synthetic turfs in Europe. 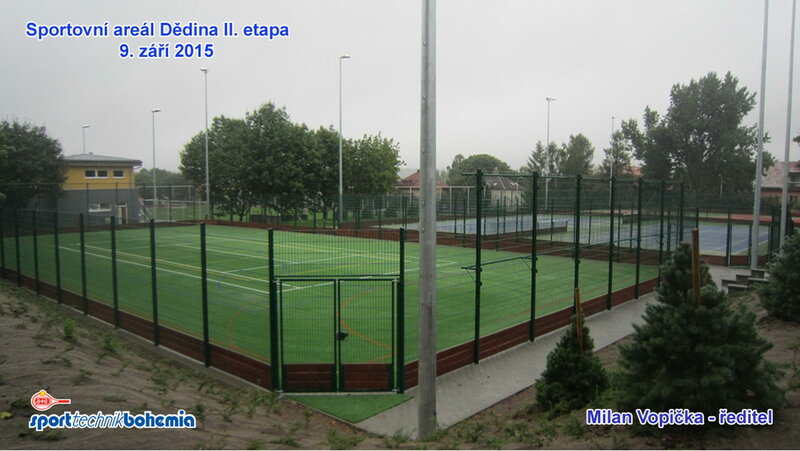 ESTO associates not only the 18 biggest European manufacturers, but has also other members who focus mainly on construction and installations of 3GAT on the newly built pitches in Europe. ESTO also includes representatives of major European universities, experts from testing institutions, such as ISA Sport (The Netherlands) or Labosport (France), as well as representatives of maintenance companies (SMG) and others. It is safe to say that the Czech Republic is a well-represented and respected participating country in this organisation as all 8 members of the Association of Synthetic Turf Football Pitch Manufacturers with ESTO membership are also affiliated members of ESTO. We were therefore honoured that the new General Manager of ESTO, Mr Nigel Fletchet (since 1 July 2010), chose Prague as the location of the next congress. ESTO is mainly interested in quality in all its aspects. For the first time, an annual bulletin was published to introduce all ESTO members – it is available at our website at www.asociaceut3g.cz. Starting from 2011, the www.theESTO.com website will also be available in the Czech language. ESTO naturally closely co-operates with both FIFA and UEFA as well as individual football associations, if required. 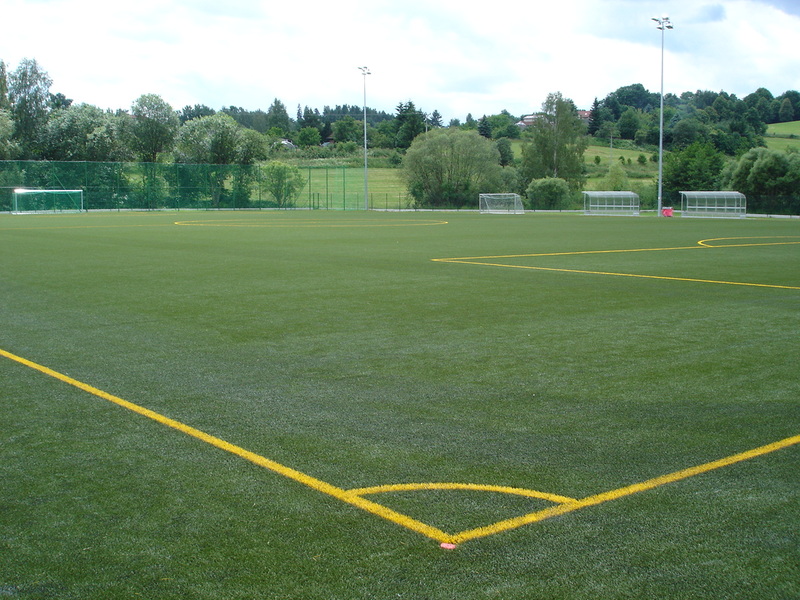 Highly progressive development and high standards of 3GAT in the Czech Republic materialised in the new 3rd generation artificial turf pitches which were attested according to the new expanded criteria in accordance with the implementing instructions of the ČMFS concerning attestations of pitches for official football matches (from 15 February 2010). It is noteworthy that 9 out of the 12 pitches achieved very favourable scores on the FIFA* and FIFA** quality scales, with the 3 remaining pitches fully passing the tests as well. I consider this to be a great success of the Association of Manufacturers and all its eight members for the year 2010, as well as a good reason to further intensify its activities and guarantee high standards of 3GAT football pitches on the Czech Republic. On 15–16 September, a plenary session of the European Synthetic Turf Organisation (ESTO) was held in Bergamo, Italy. The significance of this meeting was emphasised by the personal attendance and speech of Mr Nigel Fletcher, the head of the competent FIFA department. ESTO currently represents 90% of European synthetic turf manufacturers and the annual volume of installed turfs has already exceeded 25 million square metres. Thanks to excellent technical progress, artificial turfs have been approved by the FIFA and UEFA authorities. During this important meeting, the Cooperation Agreement was executed between ESTO and our Association of 3GAT Pitch Manufacturers for the term of 4 years. 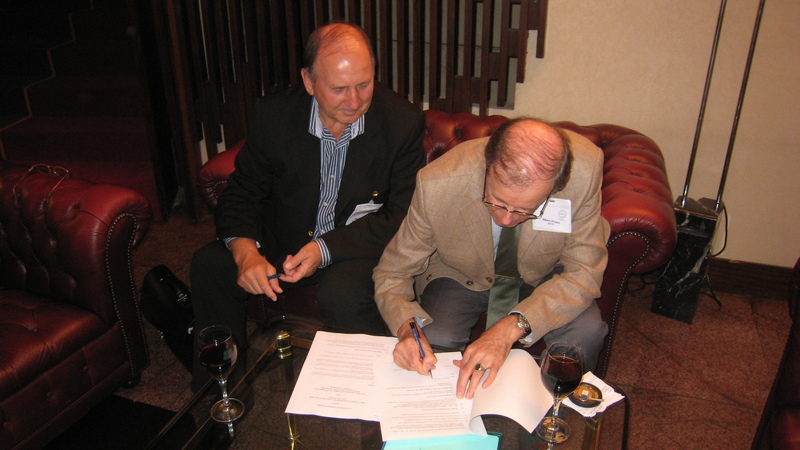 The agreement was executed by the Association President Mr Milan Vopička, on behalf of the Association of Manufacturers and by the General Secretary Albert Prisse on behalf of ESTO. More two-star FIFA attestations in the Czech Republic. 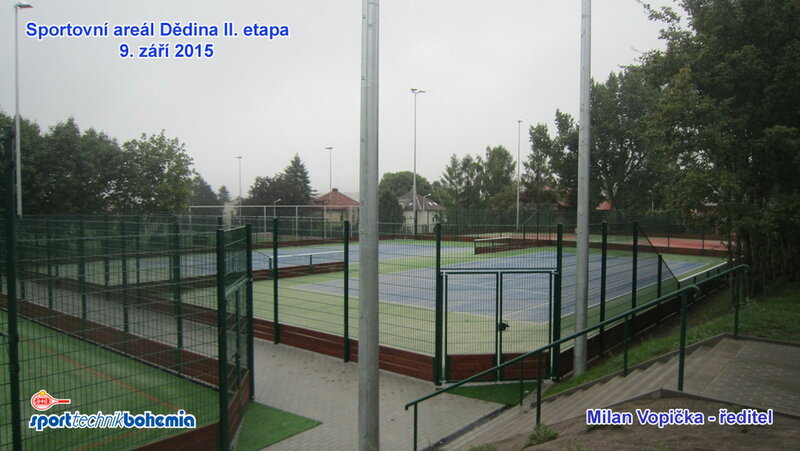 FIFA** was obtained by a pitch built by TENNIS Zlín a.s. in Staré Město, which was equipped with synthetic turf by Limonta, type Soccerpro Max S 40, FIFA** Certificate No. AF-01.38, valid until 30 July 2010. 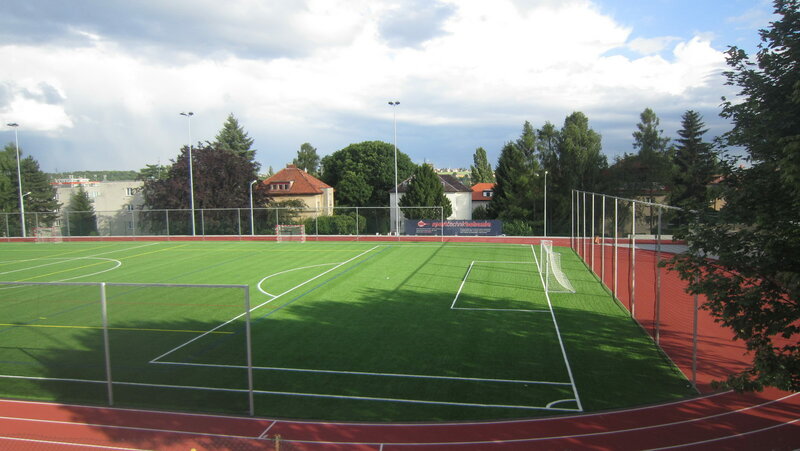 FIFA** was obtained by a pitch built by Philipp Sportovní Trávníky, a.s. in Trutnov, which was equipped with synthetic turf by Fieldturf Tarkett Inc., type Soccerpro Prestige XM60, FIFA** Certificate No. AA-13.71, valid until 6 April 2011. 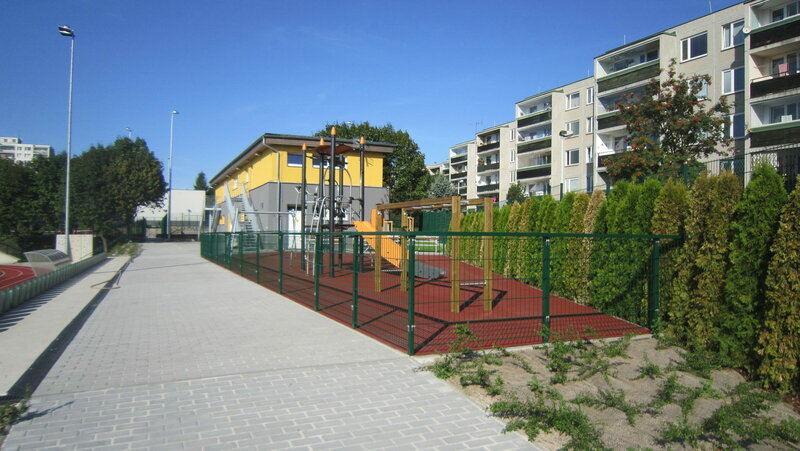 FIFA** was obtained by a pitch built by TENNIS EKKL a.s. in Konice, which was equipped with synthetic turf by Italgreen, type 62 LESMO, FIFA** Certificate No. AL-0013, valid until 28 May 2009. 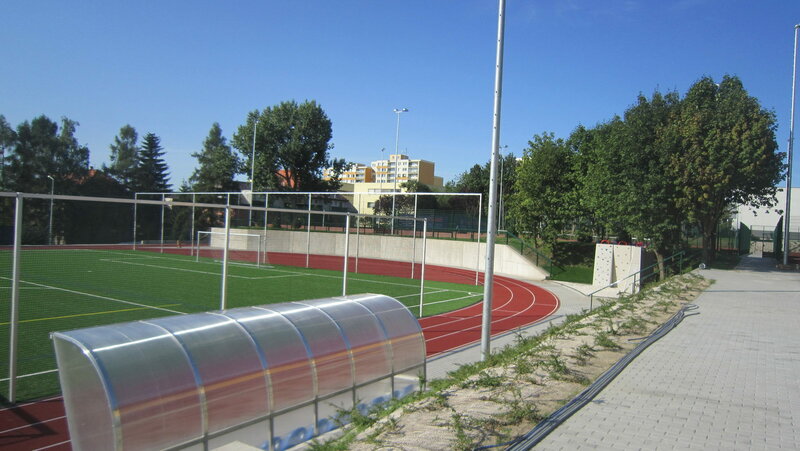 FIFA** was also obtained by a pitch built by TENNIS Zlín a.s. in Havlíčkův Brod, which was equipped with synthetic turf by Limonta, type Tangoturf, FI 50, FIFA** Certificate No. AF-0128, valid until 4 August 2009. 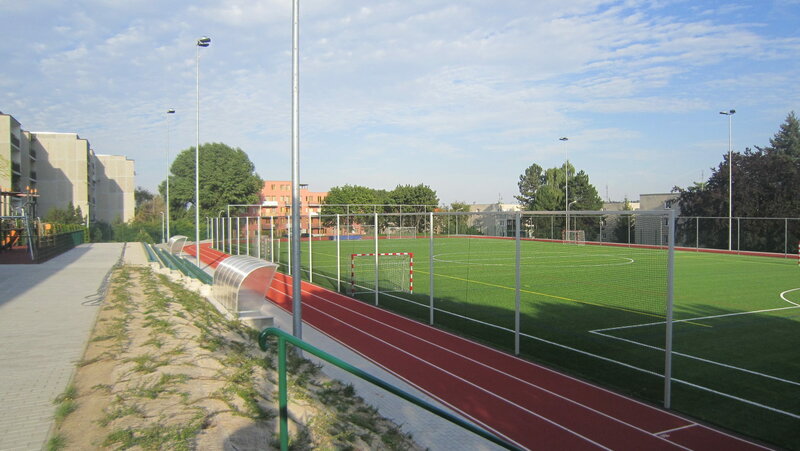 FIFA** was obtained by a pitch built by Envos, s.r.o. 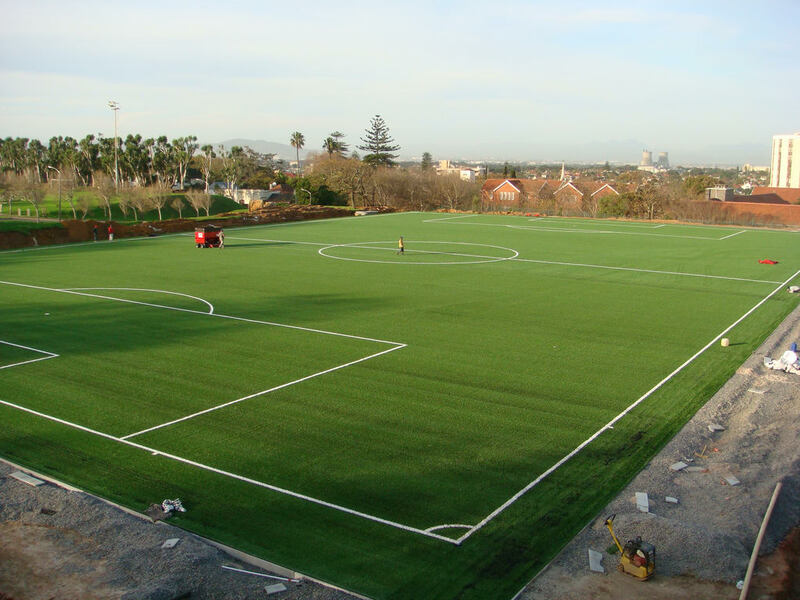 in Cape Town, South Africa, which was equipped with synthetic turf by DOMO Sports & Leisure Grass, type VarioSlide Excellence 60, FIFA** Certificate No. AJ-00.24, valid from 6 July 2009 to 5 July 2010. 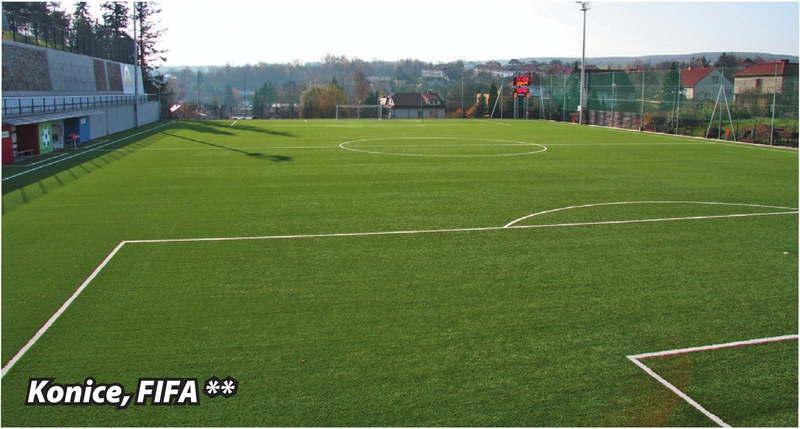 FIFA* pitch built by Pragosport a.s. in Tachov, which was equipped with synthetic turf by Polytan, type Ligaturf 240 ACS 65, obtained the first direct FIFA** Certificate in the Czech Republic, No. AE-11.60, valid from 3 August 2009. 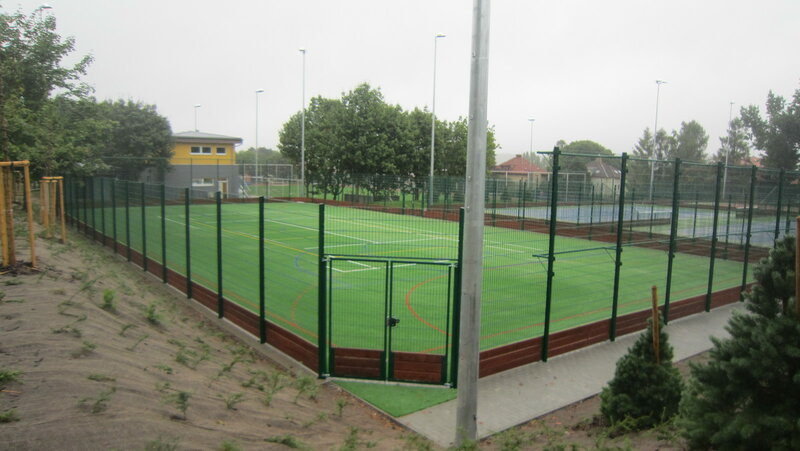 This re-attestation demonstrates the high quality of the pitch as well its proper maintenance. 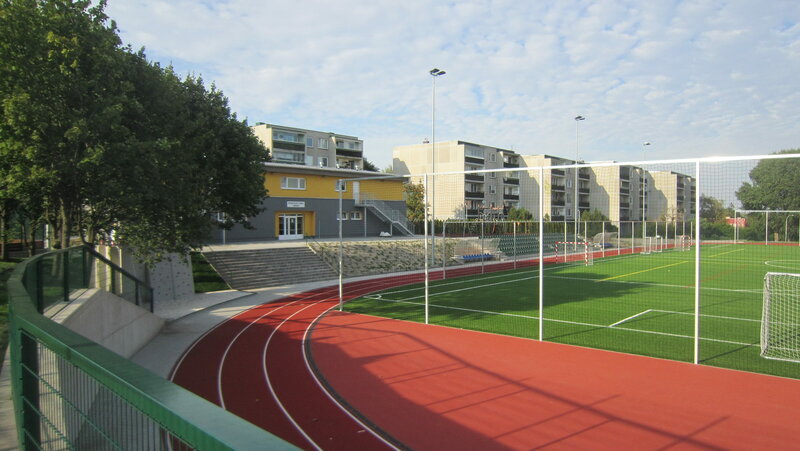 On 24 March 2009, a workshop on the maintenance of 3GAT football pitches for the operators of these pitches was held in the Czech Republic, in the BENICA hotel in Benešov and the Tuřanská Beseda restaurant in Brno Tuřany; its programme included co-operation of the ČMFS with the new Association of Artificial Turf Pitch Manufacturers with ESTO membership and a practical demonstration of middle-term machine maintenance on the pitch, which can be seen in the video. Údržba umělých trávníků 3. generace - seminář GreenFields a Envos spol. s r.o. To see the video correctly, it is necessary to have the plug-in Adobe flash player installed. On 10 February 2009, a press conference of the Association’s representatives was held in the Benice hotel in Benešov with participation of the former members of the Czech national football team Karol Dobiáš and Fratišek Veselý. The main topic of the conference was a detailed presentation of synthetic turf pitches and the advantages of playing on such pitches, including a short inspection of a synthetic turf pitch, where a training was taking place under artificial lighting. A short recording is available here. Presentation created by company Newcorp Technology s.r.o.